As the warmer months approach, limes are probably more likely to make it to your shopping list. Often used to add a spritz of citrus to foods and beverages, limes are a go-to choice for many people looking to jazz up their taste buds. However, there is much more to limes than just that. There are actually a number of health benefits associated with this small fruit. Used for centuries to treat various ailments, many people rely on limes to soothe and treat their aches and pains. Reliable, natural, and tasty, it’s no wonder that so many people turn to the healing properties of lime. 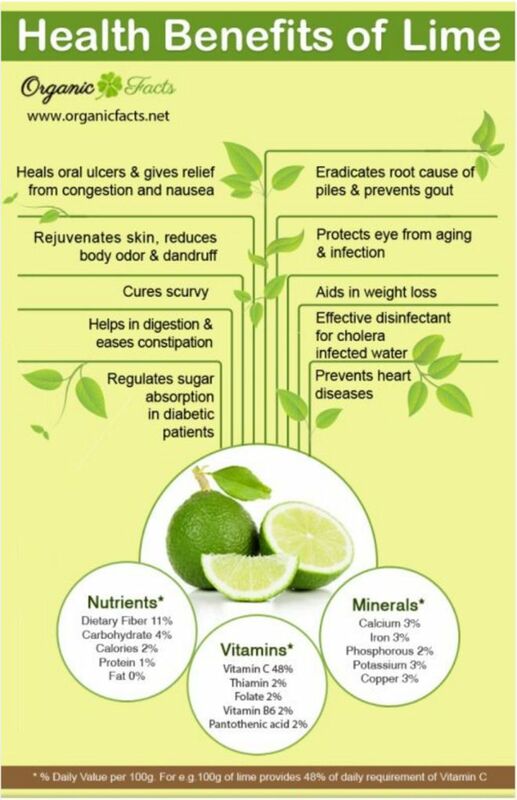 Let’s take a look at 13 health benefits of lime. According to a Food Facts article in Mercola, the antioxidants found in limes aid in stopping the division in various types of cancer cells. This indicates that limes can slow or perhaps curb the progression of certain kinds of cancers. The aroma of limes actually helps aid in digestion. It contributes to get your mouth watering which helps take care of the first steps of digestion. From there, the acids in the fruit help break down food and makes digestion easier on your system. Scurvy is a cold-like illness that can be dangerous. The disease is due to a Vitamin-C deficiency which limes just so happen to be chalk full of. Drinking lime water can help reduce your chances of contracting this debilitating disease. The soluble fiber found in limes helps level blood glucose levels. Due to the low glycemic index, limes contribute to reducing the likeliness of sugar spikes in diabetic patients. The acid found in lime works to cleanse the body of toxins that can impact the digestive tract. Additionally, lime juice works as a type of purgative that can help people suffering from constipation. Described in an article on Organic Facts, limes are good for your heart. The soluble fibers that help with diabetes can also help lower blood pressure and reduce cholesterol which are leading contributors to heart issues. It can also help reduce the pressure on blood vessels which reduces the chance of heart attack. Peptic and oral ulcers can be painful and can take a long time to heal. However, limes have flavonoids that speed up the healing process and protect from infection. According to an article published in The World's Healthiest Foods, lime could help with inflammation. Too much uric acid can cause inflammation in the joints which result in painful arthritis. Typically, uric acid is passed in the urine, but sometimes it just isn’t enough movement, and a buildup occurs. The citric acid found in limes can help remove the buildup of uric acid and reduce inflammation. The high concentration of Vitamin C proves to be of enormous benefits to the eyes. The antioxidant properties help defend eyes from issues related to aging and even infections. For people suffering from a fever, citric fruits high in Vitamin C, such as lime can help bring it down. In some cases, people who have an exceptionally high fever will be given only lime water to drink to bring down the temperature. Cholera is an often deadly disease that is introduced by contaminated foods and waters. While it is not common in developed countries, there are still some people around the world who face this horrible illness every day through dirty water. 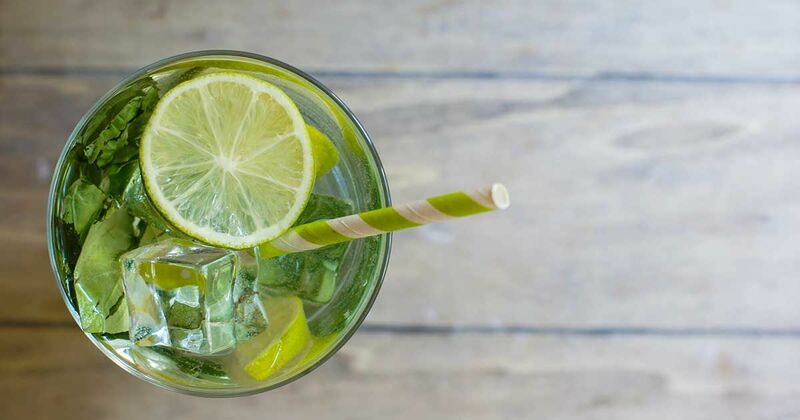 Studies have shown that adding lime to infected water can drastically reduce a person’s chance of contracting the disease. Toxic substances that get lodged in the urinary tract can lead to painful infection. The high potassium on content found in limes is an excellent source bacteria removal that can cause disease and other urinary issues. Your mouth can attract illness in various forms including infection and gum disease. The high level of Vitamin-C found in limes can help protect your mouth from infection while the natural antioxidants promote cleanliness. If you loved limes before, you probably love them a little extra now! Share with friends to spread the good news.